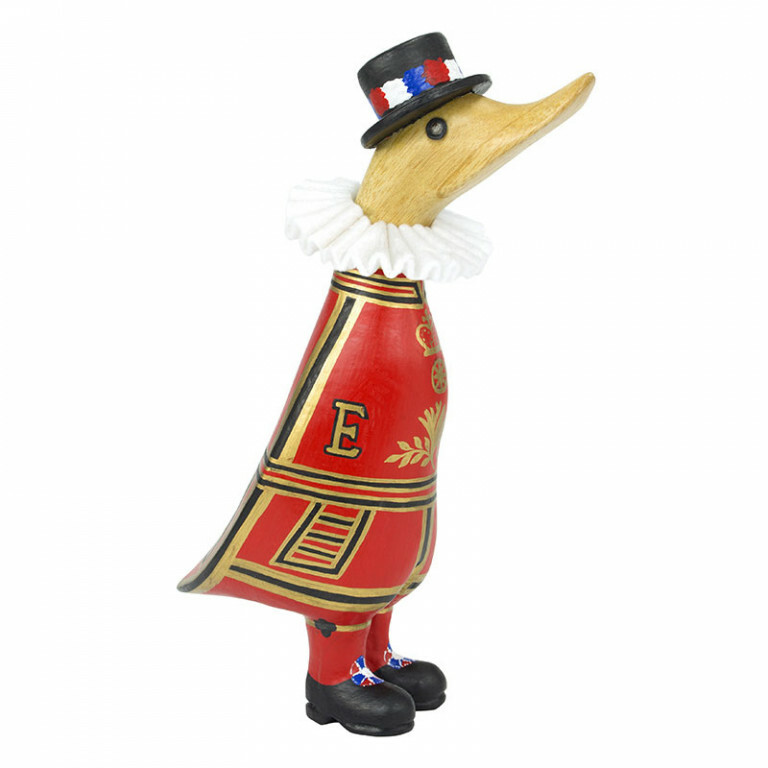 Celebrate the best of British with our Queen's Guard Duckling! Dressed in a hand painted red uniform with black boots and finished with a furry Busby hat. Standing at approximately 24cm high. Hand carved and painted, making each one unique. Comes with a randomly named cotton card tag which can be personalised.